Make the most of the great outdoors with natural gas. 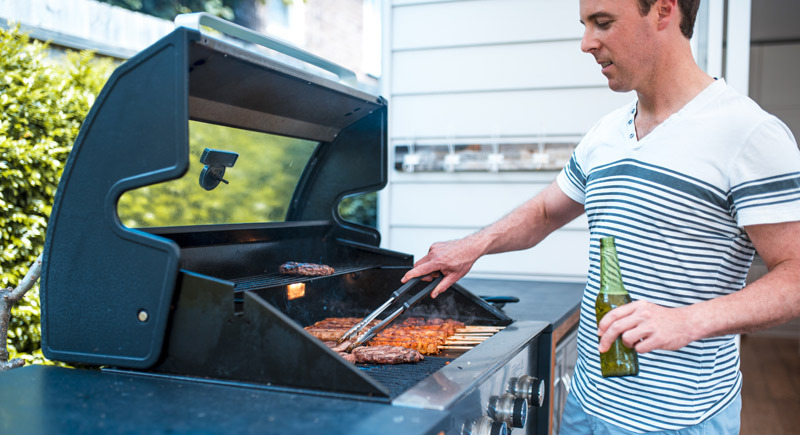 From firing up the BBQ to gathering around an outdoor fire pit, natural gas will keep you entertaining all year round. With a continuous supply, you can also power your patio heaters and laundry with ease. Outdoor kitchens and BBQ's are a must in any Aussie home and provide a quick way to whip up delicious dishes for the family and guests. With a gas connection you'll no longer have to worry about refilling heavy bottles or checking gas supply levels. You'll also enjoy the added bonus of unlimited gas supply so that you can fire up the BBQ whenever you like. Rain, hail or shine, get the perfect temperature when you want it with a natural gas connection. Unlike electric heating, your gas connection will fire up to the right temperature faster giving you total control everytime. You can also combine gas heating with solar options when the sun is shining for a more economical solution. A gas heater is an ideal choice for anyone who uses their pool or spa sporadically throughout the year, such as on the weekend or when friends come over. If you use your pool often, a gas boosted solar system will give you the best of both worlds - an economical solution when the sun is shining and gas to keep the temperatures suitable for use all year round. Don't let the chill keep you inside! Save time and money with a gas-connected radiant heater. Ideal for balconies, decks and patios, you can extend your outdoor living season without the hassle of wood fires or spending time refueling gas bottles. You'll also enjoy the added bonus of reducing your carbon footprint with these handy space-saving heaters. Get more out from your outdoors and start saving money with our rebates and offers. Cut your ironing and drying time down with a natural gas connection in your laundry. Natural gas dryers will dry your clothes quicker while using less energy than traditional electric dryers. You'll also get the added bonus of no condensation in your laundry along with a lower energy bill and reduced carbon footprint.